Shipping large art pieces is our specialty! Fine Art Shippers has over 20 years of experience in handling and transporting artworks of any kind, including oversized paintings, heavy sculptures, and the entire art installations. Besides, we are proficient in shipping large art pieces from various international fairs and shows held all over the United States. 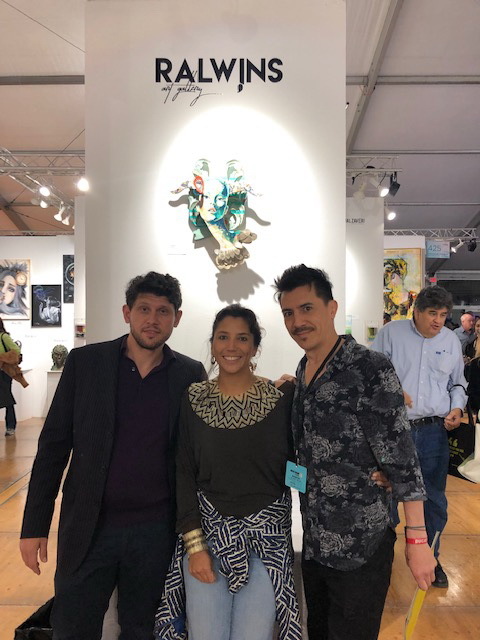 For example, last month, our team spent several memorable days helping exhibitors and visitors with art logistics during Miami Art Week 2018. 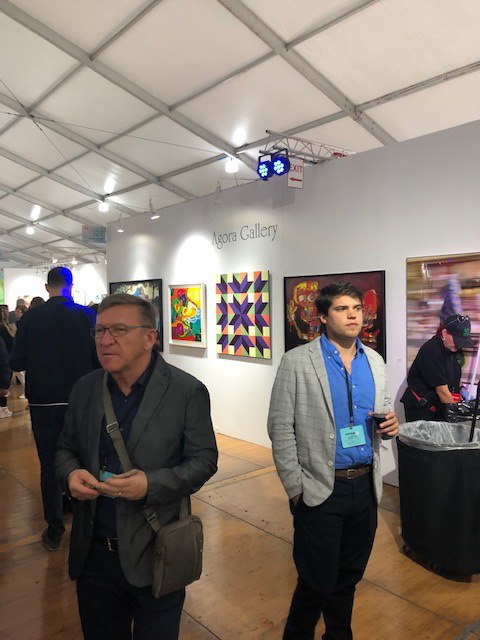 There were many incredible art events and fair exhibitions in Miami and Miami Beach, but now we want to tell you about Spectrum Miami, a truly outstanding show held on December 5-9, 2018. 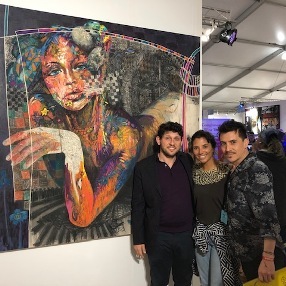 Spectrum Miami is a curated contemporary art show held in the heart of the Wynwood Art District, Miami’s well-known hub of culture and arts. 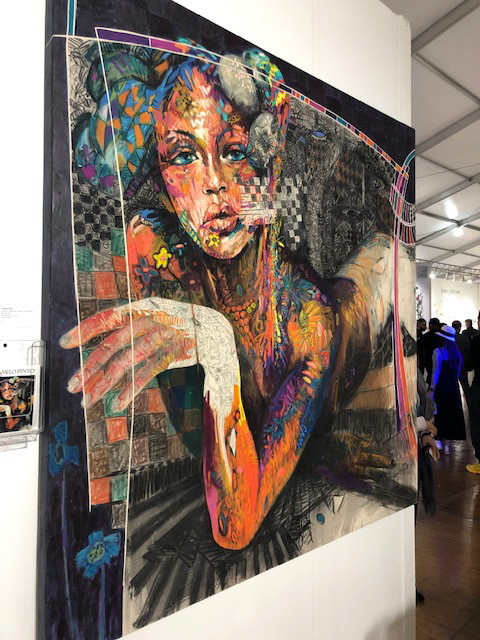 The recent edition of this international art event was especially important due to so many prominent artists and galleries participating in the show. Being there together with Rommy Schreiber from the Ecopazifico foundation was absolutely amazing. 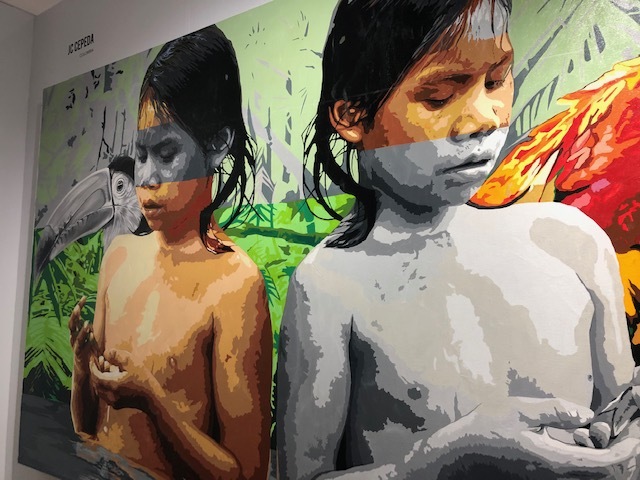 Not only did we learn more about the world’s plastic problem and possible solutions (for example, did you know that plastic trash can be turned into an artistic medium? 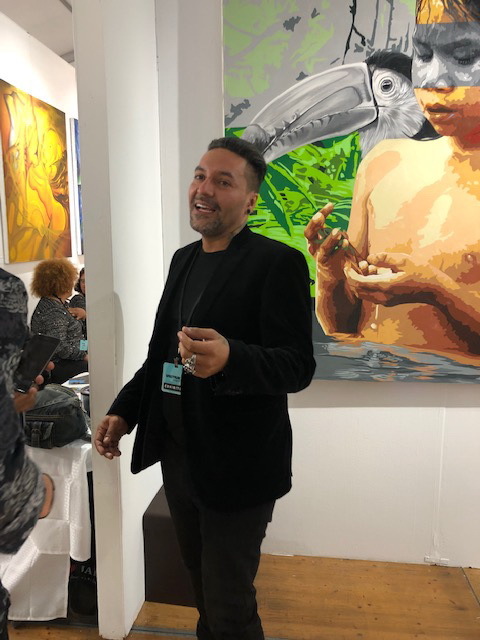 ), but we also had a chance to meet many talented contemporary artists like Camilo Pinto and JC Cepeda, whose large artworks definitely deserve your attention. 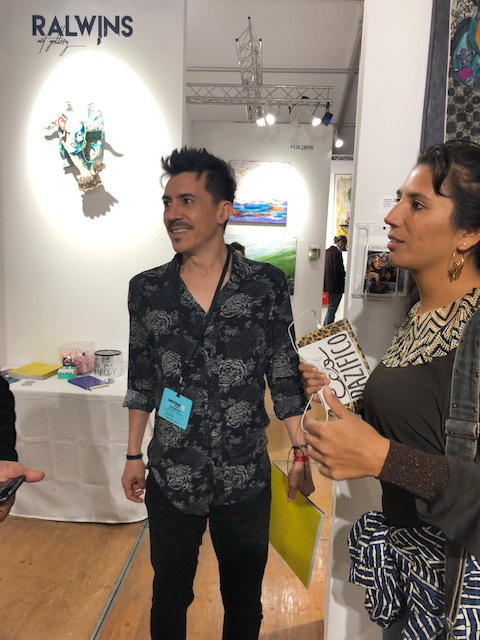 Whether it comes to shipping large art pieces from the international show or you need any other art logistics help, Fine Art Shippers is always at your disposal!